Get a step-by-step guide to everything from first day checklists to securing big wins in the first three months on the job. When you start a new job, you have a lot to prove. You want to show your new team and new boss they were right to hire you, but at the same time, you are totally in the dark about most things. You have to be better than your best in order to get up to speed, and that’s a lot of work. There is a lot to learn and a lot of ground to cover when you’re new. You have to work harder than anyone else in your early days to make a meaningful impact with your contributions – oh, and don’t forget about making friends, fitting into company culture, and building up credibility with a group of people who don’t know you yet. If you are someone who cares about their career, then you know you want to hit the ground running whenever you are taking on a new role. The first days on the job matter a lot; they can make or break your long term experience. 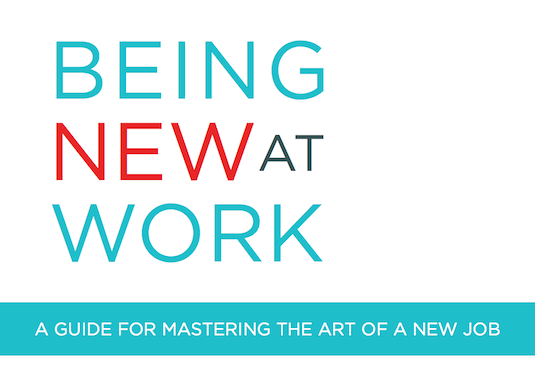 Make your early days a little easier by signing up for this a step-by-step guide to shining on a new team: we’ve got everything from what to pack on your first day of work to how to secure allies and big wins on your new team. This course content is super informative and always with you, so you can turn to it throughout the first days on the job whenever you need advice or answers on what you should do. You can go through the whole course at once or take it at your own pace; it is fully customizable to your new job needs. In addition, you’ll get access to beautifully designed worksheets to help you personalize and outline your new job success plan. Let us make being a superstar in your new role as simple as it can be – hit the ground running and become an MVP on your new team with this guide. Don’t you want to shine at work? Don’t wait for things to just fall into place; take control of your career and make an impact as soon as you start a new role using this guide. Being new is a huge learning experience. Don’t do it alone – trust the career experts at Popforms and use our step-by-step guide to make sure you are a superstar from day one.